Ferrari have confirmed that Charles Leclerc is set to remain with the team for at least the next four seasons as team principal Maurizio Arrivabene pledges his future to developing young talent. Leclerc will become the second-youngest driver in Ferrari's history when he replaces Kimi Raikkonen in 2019. 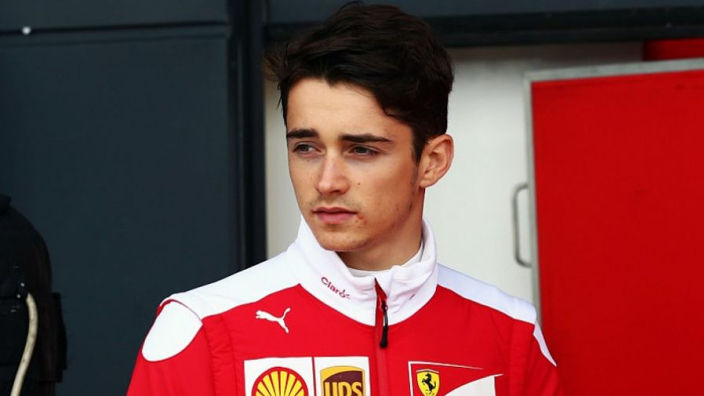 Leclerc was rumoured to have penned a deal with former Ferrari president Sergio Marchionne before his passing in July, and the Monegasque was confirmed as a future Scuderia pilot after the Italian Grand Prix. Reports had suggested that Ferrari's new hierarchy had been keen to stick with Raikkonen, but Arrivabene is sure that bringing in Leclerc early will have long-term benefits for the team. Arrivabene has confirmed that Leclerc is tied to Ferrari until 2022 - by far the longest commitment between a team and driver on the grid. He said at the Singapore Grand Prix: "When you make some choices like this, that are related to the driver, you don't have to look only at the short-term commitment but also at the long-term commitment. "A long-term commitment means it's not only for next year, it's for the future of the team – how you are going to grow a young talent, and what you want to expect from him for the future. "This has nothing to do with the respect that I have for Kimi, that is great, as a human being and a driver, but if you have to do a choice, thinking about the future of the team, I think we made the right choice, for us and for Kimi. "I signed with Charles in November 2016 the first contract in the Ferrari Driver Academy. "In that contract we already designed and committed and signed and wrote his future in Formula 1. "So Charles Leclerc is not a big surprise, he's one of the talented drivers that we have in Formula 1. "Thank God, it's a guy that he grew up with us and I hope that he is going to continue his career with us, at least until 2022 for sure."